Standup comedian Jerrod Carmichael is back for more spirited conversations with his family in the new season of the comedy series The Carmichael Show whichpremieres on Sony Channel on March 4. 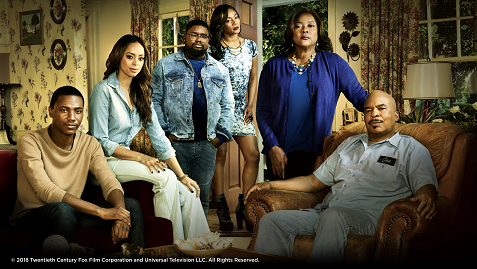 What starts out as heated discussions on contemporary issues end up in humorous arguments as Carmichael discovers the ties that bind his relationships with this wife Maxine (Amber West), and his opinionated family - his admirable brother Bobby (Lil Rey Howery) and his old-fashioned parents, the outspoken Joe (David Alan Grier) and the deeply religious Cynthia (Loretta Devine). In the season opener, the family gets into a debate about consent that sends Bobby into a spiral when a friend of Maxine and Jerrod's posts about her sexual assault on social media. The Carmichael Show Season 3 premieres on March 4 and airs every Sunday at 8:30pm.